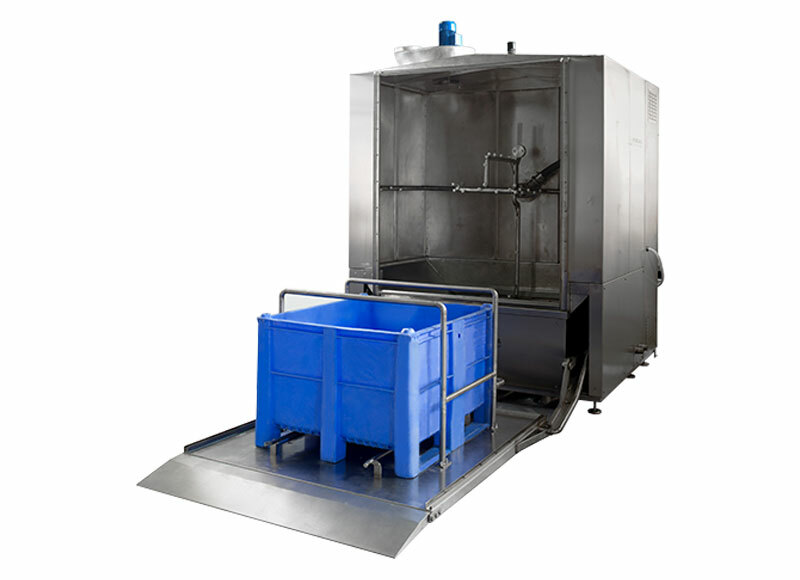 This machine has been studied for washing big containers and for transport of food product. 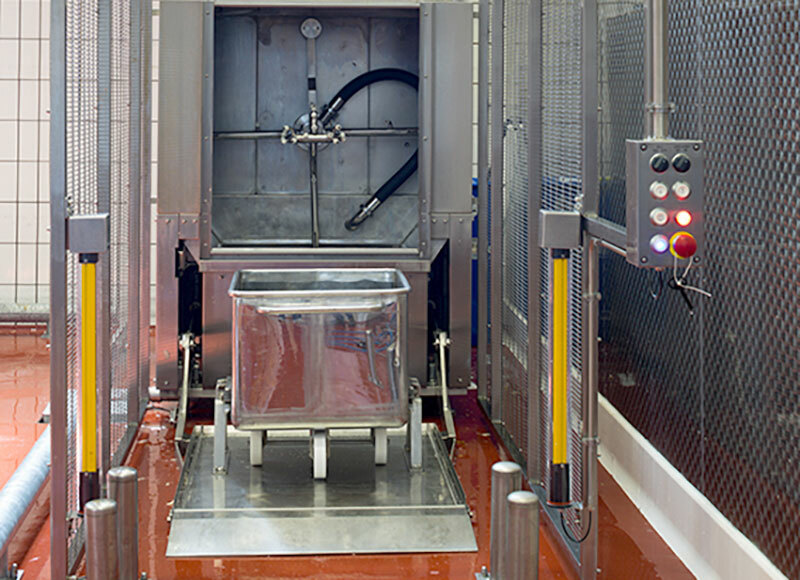 This machine is designed according to the dimensions of the container to be washed. 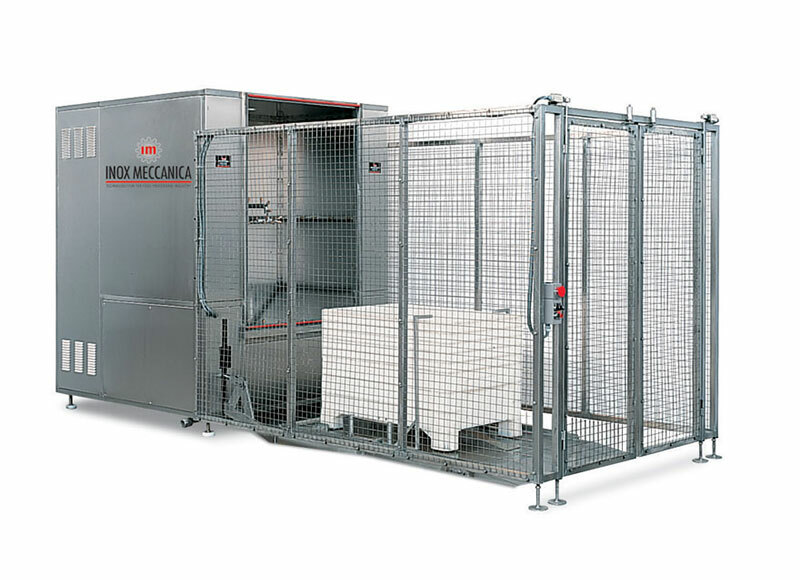 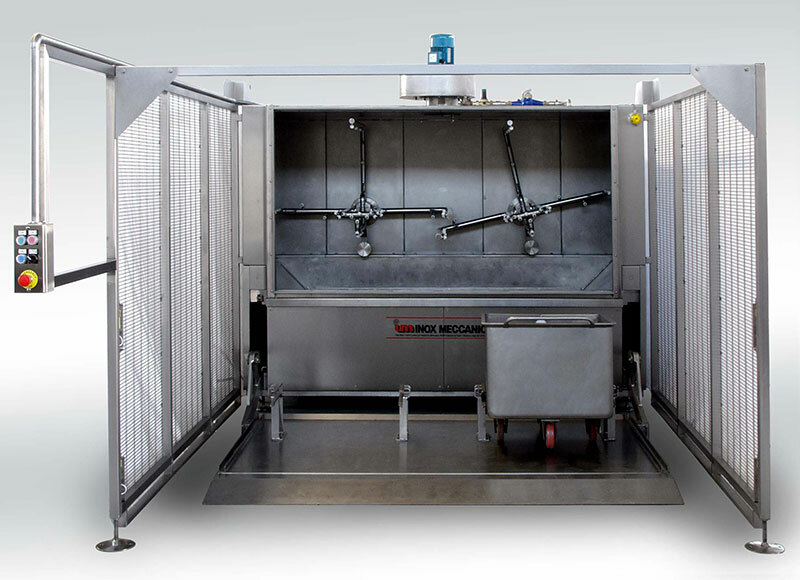 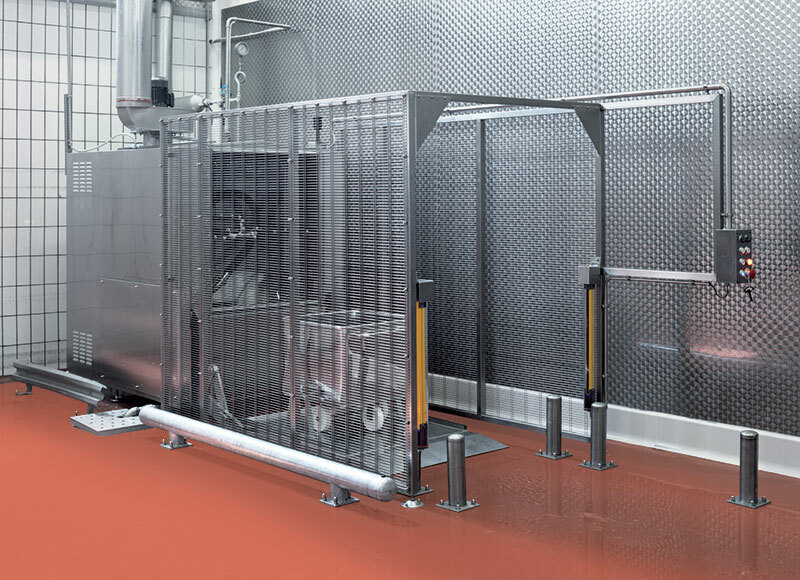 This machine has been designed for washing standard containers on wheels of 200 liters. 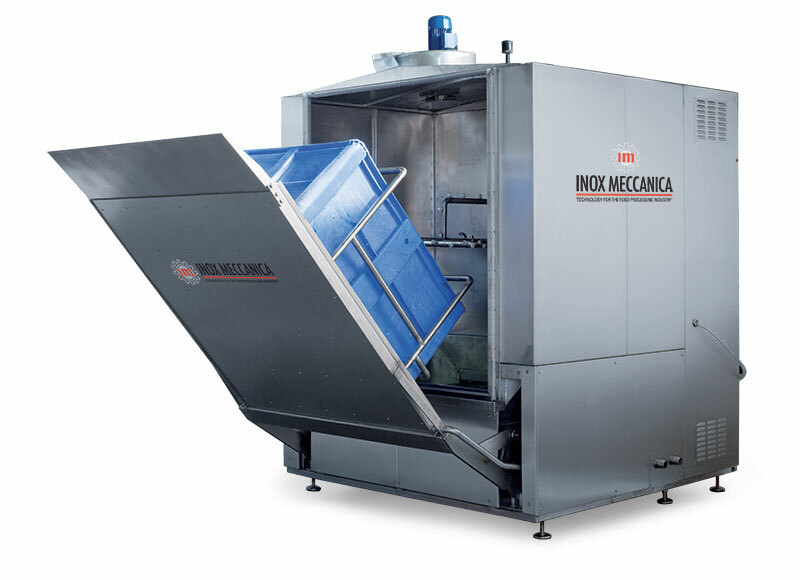 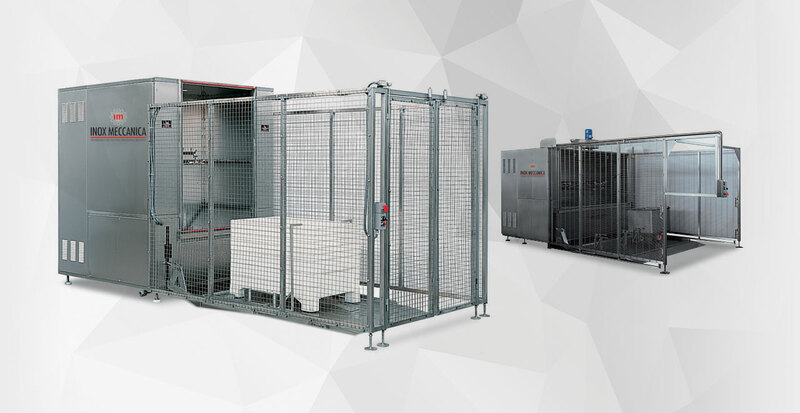 It can be built in two different models: one for washing one container at a time and another one for washing two containers at a time. 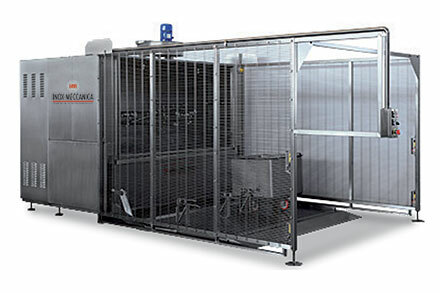 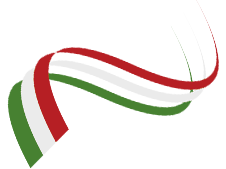 According to particular customer’s need, it’ possible to build machines with continous conveyor belt.